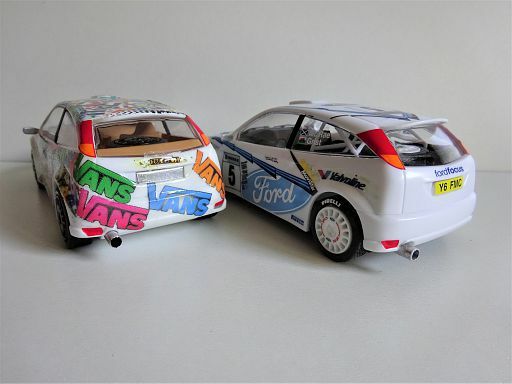 These are two 2001 Ford Focus kits from Airfix in 1/32 scale, one in WRC and one tuner. 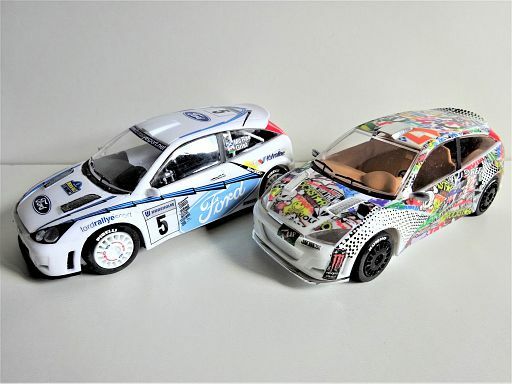 Some kit, aftermarket and home brewed decals were used. It amazes me that 140 can view this but not one has the time to comment in any way!! pretty cool cars and look good together. i've not built a lot of airfix cars (did planes when i was a kid). any significance to the VANS logo? Thanks aussiemuscle308. Both my sons wore Vans shoes when BMXing 20+ years ago, and still do in leasure time. I just fancied home printing most of the decals on there. A couple of nice looking Fords! Love the wild homemade decals on the one. Nice workmanship! Ford Focuses that actually look Good .. 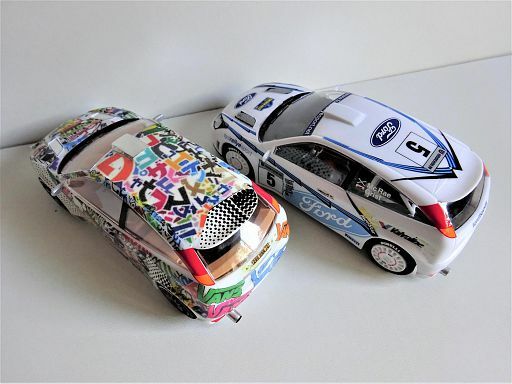 I build some Airfix cars from time to time just to do something different .You outdid yourself , Patrick ! It's been awhile since I have been here . Ticker rebuilds and stuff like that . I seem to sleep more and constantly dream my model problems away ! Nice Focus the tuner one is cool too. I really like the decal scheme. Lookin' sharp! Yes the focusses look very real, still fairly common on europes roads but not n ralleyform! Hats of!